Already a legend, young, mega-watt film star, beautiful, passionate, notoriously temperamental. Four successful, sophisticated women friends in their forties have been called to the Pierre Hotel in New York to meet her. 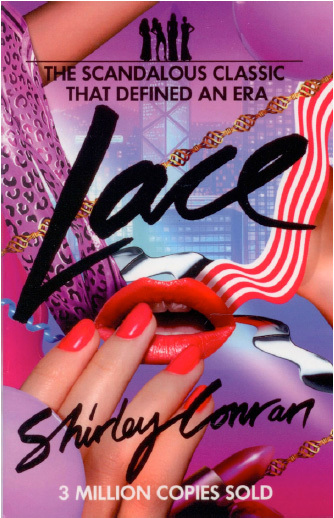 The answer to this question – a question that has obsessed and almost destroyed Lili – is at the heart of Lace. Lace goes to the very core of a woman’s sensibilities, ambitions, sexual needs, and desire for success in a changing world. Shirley Conran has captured the intimate secrets, the guilts, and the passions of every women who has experienced the childhood dreams of great romance – and the realities of adult life. The true subject of this spellbinding novel is femininity itself.